The camera gets no rest walking through Istanbul! 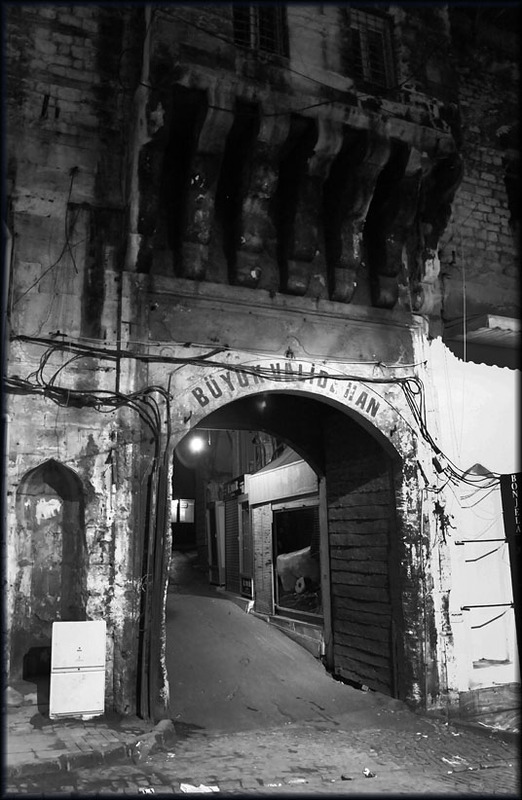 This is history surviving in the modern Istiklal Caddesi. 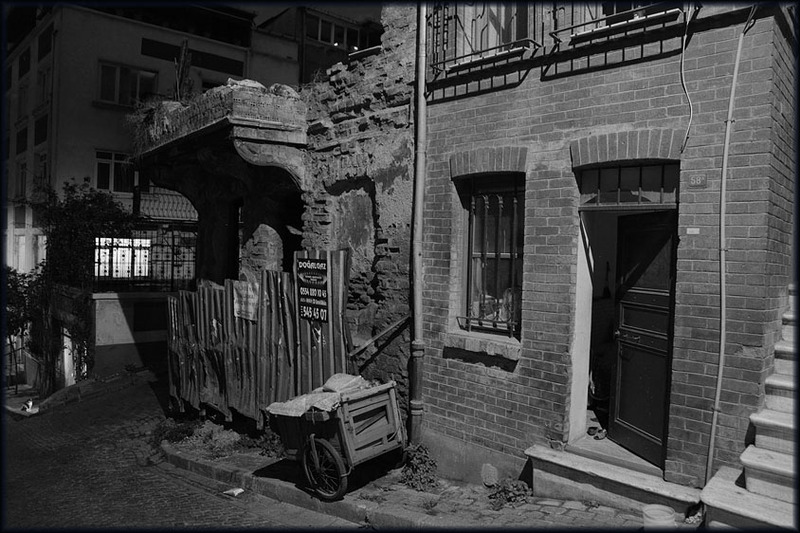 A little south of the Galata tower is an area which looked like a disaster area. Fascinating all the same. And yet another area, in Fatih. Note the cat waiting for the door to open. Cats are everywhere here. I've read somewhere that muslims have a weakness for cats, since the Prophet had a cat too. We were fascinated by this Galata district. 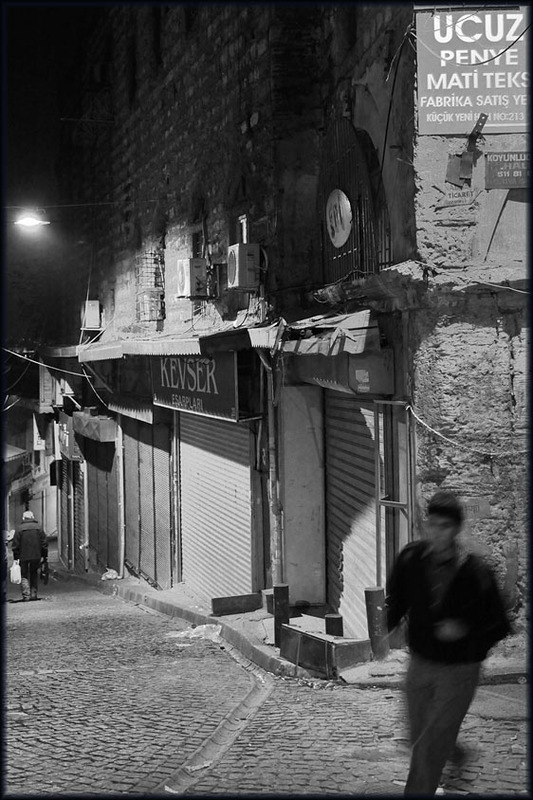 On the streets of Istanbul you don't need to get hungry or thirsty. at the end of the day for a snack and a cold soda. I like those versatile grocery stores. I paid over 2 euros for one simple cup of European tea! My advise: best to avoid 'Turkish Kitchen' on the Muradiye Cd, Sultanahmet, and avoid such surprises! Eating gets complicated dressed in a burka! There is so much detail in this photo: that giant tree, the old houses and those two statues..
Galata district, the unglamorous part..
Grafitti: the Hulk is hiding in the bushes from the girl. 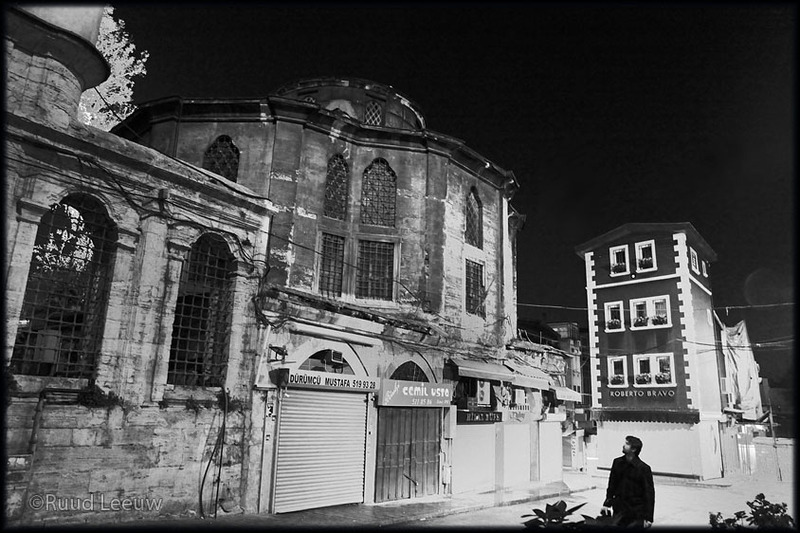 Istanbul's buildings, the old and the new. The castle walls of the Topkapi palace.